How Should I look After & Brush My Teeth? How Should I look After & Clean My Teeth? Home / Barrington News / How Should I look After & Clean My Teeth? There are lots of techniques when it comes to tooth brushing, and really it is not one rule fits all. Some techniques work better than others for you. Your Dental Hygienist will help you with a plan that is personal to you, one that is straight forward and easy to follow. We do like electric toothbrushes bit they aren’t for everyone plus they can be quite an expense so first things first, you do not need to have an electric toothbrush to have excellent dental health. A good quality toothbrush when used in the correct manner will give you results that are just as good as an electric brush. If you prefer an electric brush, go for it, but discuss this first with your Dental Hygienist so you don’t spend money on the wrong sort. Remember too, you don’t need to spend the most amount of money or buy the latest model, some of the older models can be found at great prices and will do the same as the newer model. How should I brush, which technique? Again your hygienist will help show you a method that works best for you, it may be up and down, round and round, there are all sorts of brushing techniques out there! The important thing is to be tooth aware. When brushing you need to be aware of all the surfaces of the teeth and clean all these surfaces, not just the front that you can see. This can mean brushing can be awkward in some parts of the mouth and that is why we like you to take your time with it making sure you get in between all the teeth. You may be surprised to know the answer to this is no, but you do need to cleanse between your teeth and whichever method works for you should be done daily. 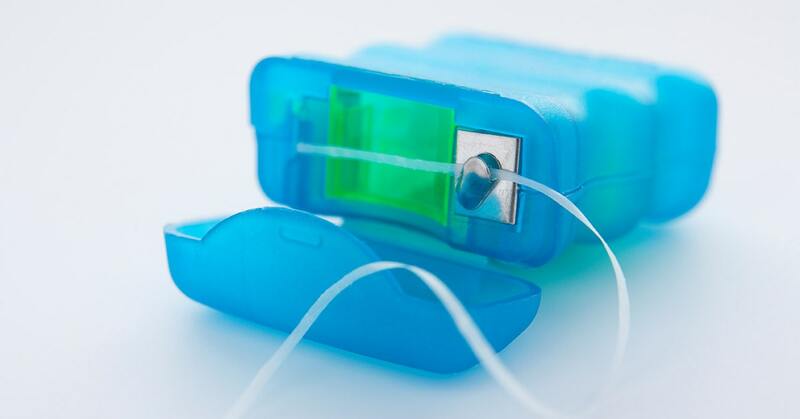 We advise several interdental cleansing methods, floss, interdental brushes or even a water jet or air flosser. Your hygienist will show you the method that they recommend for you and will help you with any difficulties. It is worth getting this right as if you aren’t cleaning between your teeth you could be missing up to 25% of cleansing your teeth surfaces, that’s quite a lot of plaque! For our patients who have dental implants a cleansing regime is vitality important and your hygienist will guide you. Implants can collect plaque just like teeth and inflammation at the gum around the implant can have a detrimental effect on the success of your implant so hygiene is discussed very early on. Yes, just like the teeth, the tongue can collect plaque and look coated. Getting into the habit of regularly brushing your tongue will help keep the level of plaque and bacteria down in the mouth and will help keep your breath sweet smelling. Any brush will do for this, or you can buy a tongue scraper. Mouthwash isn’t essential if you are brushing correctly although many people do favour the use of one after brushing. We would recommend that if you do want to use a mouthwash not to use it straight after brushing as it can wash away the protective effects of the fluoride in your toothpaste. Instead perhaps use a mouthwash at lunchtime at work when it may not be too convenient to brush your teeth. The important thing to note with any cleansing routine is consistency and regularity, so stick to your preferred plan and keep at it. Your dental team will encourage you and help get the best routine for you.